Home > FAQs > Global > Plans, Products, and Services > Direct Your Energy Insights Tool > How does Direct Your Energy determine my usage by appliance? 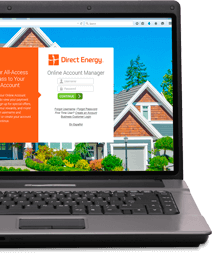 Direct Energy uses your monthly usage, your home profile information, weather data and proprietary algorithms to determine estimates of how key home systems and appliances use energy. The "Other Usage" category refers to usage we cannot identify individually, including but not limited to: appliances such as dishwasher, clothes washer, clothes dryer, electronics such as televisions, computers, speakers, cell phone chargers, and smaller appliances such as toasters, microwave, and hair dryers. The "Fixed Charges" category refers to tax charges for the electricity you use each billing period. For transmission and distribution charges levied by your utility, refer to your utility bill. These charges reflect the cost of the delivery of electricity to your home and for the maintenance, repairs, and reading of the lines, poles, and meters. Please note: Usage costs are estimated, and predicted consumption and costs may differ from actual consumption and costs.